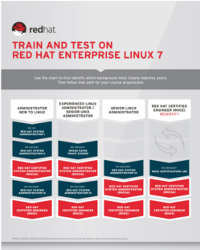 Red Hat Certified JBoss Developer (RHCJD), completion of !RH-JB225, or experience writing enterprise applications using Java EE 6 specifications, frameworks, and APIs. Certificate of Expertise in Persistence, completion of !RH-JB297, or experience writing Java entities with JPA and Red Hat JBoss Hibernate. Completion of !RH-JB437 or experience writing applications that use the JMS API.